In 2006, my friend Adam had the unenviable task of going through the belongings of his recently-deceased father, John Liddell. John was a talented artist from Bournemouth and, when I was growing up, the guy that most kids who knew him wanted for a dad or eccentric uncle. A top bloke and still very much missed. His obituary was featured in or or two of the nationals. That's Twiggy you can see through the keyhole. 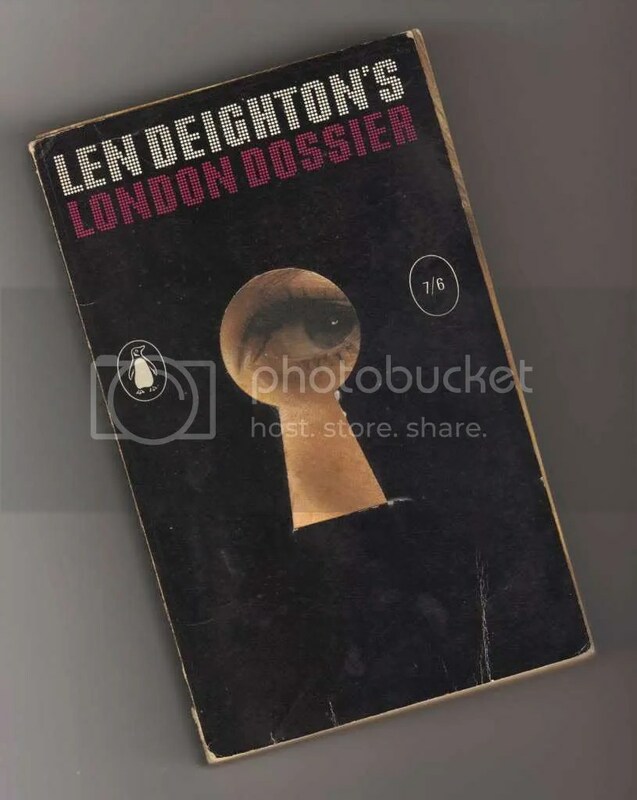 Amongst his enormous collection of books was a paperback called Len Deighton’s London Dossier, a guide to London compiled by master-spywriter Len Deighton (The IPCRESS File, Funeral in Berlin) and published just as the swinging sixties was getting into full, er, swing. Bournemouth-based Adam gave the book to me, reasoning that as I’d made London my home for the past 40 years I might find it interesting from a historical perspective. Indeed I did. The book described a London that was both reassuringly familiar and strangely alien. Its famous landmarks hadn’t changed much, of course. The Old Bailey was still the Old Bailey, just a slightly less Old Bailey. And the London Dossier isn’t really that kind of guide book anyway. Instead, its chapters have headings such as Food, Drink, Teenagers, Underworld and Children, and it is here that we learn that the London of 1967 isn’t so much a different city as a different country. For example, did you know that if you fancied a pint of Holstein back then, you had to make your way to the Bunch of Grapes in Victoria? This wasn’t just because it was the only pub that served draught Holstein. It was the only pub that served draught lager full stop. Elsewhere, we learn that children could be dumped off at free playcentres while their parents went shopping, that London’s gourmet Mods liked to hang out at The Golden Egg and that if a boatman fished up a dead body he received 7s 6d if it was on the south side and just 6s on the north. How strange that sounds these days. ‘Boatman’. Anyway, I enjoyed reading the book and figured that maybe other people would enjoy reading it too. So I put it on eBay. Big mistake. Within days of posting it off to the successful bidder, I regretted my decision to sell. Not because of the amount it fetched, but because I felt that it deserved a wider audience. And it was just a nice thing to own. Me and the book were now reunited. Maybe even the same one I had sold earlier; who knows. But this time I was determined to share its story with a wider audience. But how? Step forward Lindsey Clarke, co-editor of The Londonist. She had been encouraging me to write something for The Londonist, a kind of online Time Out, for some time. Now I had the ideal material. So starting in February 2010, the Londonist’s many fans and subscribers have been able to read about the London of 1967 through a weekly chapter-by-chapter summary. Judging from the feedback, people seem to like it. If you don’t intend to track down your own copy but are interested in reading how London was perceived in 1967 by writers such as Milton Shulman, Spike Hughes, Nick Tomalin as well as Len Deighton himself, catch up with the story so far by clicking here. Then keep up with further instalments by following The Londonist on Twitter or becoming a Facebook fan.